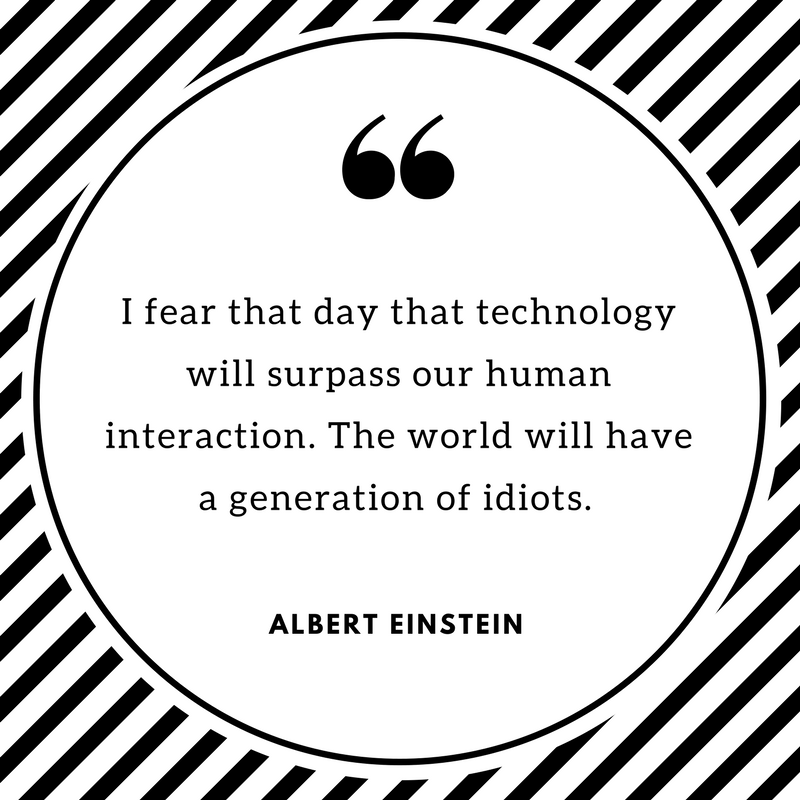 Many of you will seen (or perhaps heard) the famous Einstein quote on technology. As the genius’s prediction has proven to be fairly accurate thus far, it may appear all doom and gloom for the future of Manchester socialising. But is there hope? Hmmm…maybe! Einstein’s “Idiots” comment may seem harsh but then who am I to tell Einstein who is or isn’t a idiot? Whilst I’ve never handed out IQ tests in that scenario, I have certainly observed its lack of social interaction. Even exercise has been given an easy route thanks to the Wii. Now we can even play tennis without leaving home (15-love to technology). Video games is another example. Think back to those occasions when we played board games with family and friends, and dare I say it, even visited outside once in a while. Does our social life in Manchester now consist of taking a selfie on the way home and posting it online so your other Manchester friends can comment on it? Did you just embarrass yourself online? It could be argued that social media makes life easier in that you can get by on minimal effort. And in some ways, that’s true: you don’t need to bother putting on your new dress for a night of socialising in Manchester. Instead, you can simply opt for pyjamas and ice-cream. However, it isn’t as relaxing as all that. Studies have shown that we get anxious as to how we present ourselves through social media. “Oh no, I’d better delete that comment on Sarah’s photo, she may take it the wrong way”. And then, of course, there is the dreaded ‘seen’ tick, which indicates then your message has been read. It’s only dreaded, of course, when that person hasn’t replied immediately. And I do mean immediately. If they haven’t replied within seconds, is it that we have typed something utterly ridiculous? “Oh no, what if they don’t reply?”. At least in the days of old-style mobile phones, when you were waiting for someone to reply to your text, you could convince yourself that your message had not yet been read. And what about those who we have sent a friend request to ? Anxiety over who’s following you back leads to awkwardness when you meet them face-to-face again. Of course, in some cases, it may be that we decide we don’t like someone else. We sometimes find ourselves shocked at our friend’s political, or even sporting, alliances, and are at that point, somewhat less inclined to want to socialise with them. Whereas, in an actual conversation, perhaps we would take the time to listen to them and better understand their view. When exactly did our social lives get sucked into cyberspace? Remember Friends United? How about MySpace? Well Facebook arrived in 2004, combined the strengths of those two platforms and has dominated as the no.1 social network ever since. Twitter made its debut in 2006 for those with short-attention spans and Instagram took the concept of the “selfie” to a whole new level. With FourSquare, Snapchat and countless other social media phenomenons seeming to be cropping up all of the time, the opportunity to socialise online is greater than it has ever been. 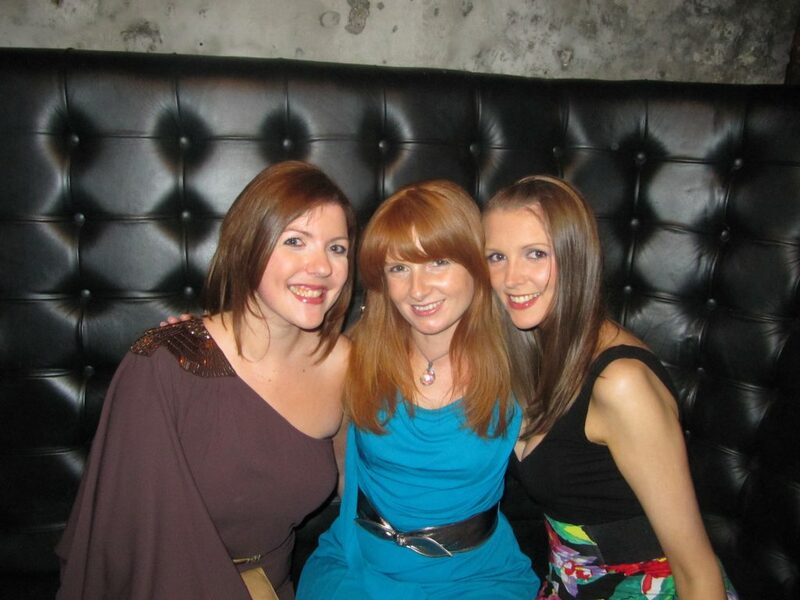 What is the difference between your Manchester social life and social media? It’s media, of course. Doh! And media has been ruling our attention long before Facebook. We live in a media-driven world. Think about it? What do you talk about with your friends? Corrie? Eastenders? The latest revelation from the Daily Mail? And now, it seems, reality TV has taken over much of our media consumption. social media is to socialising as reality TV is to reality. Think back to the moments in your life that you treasure the most. 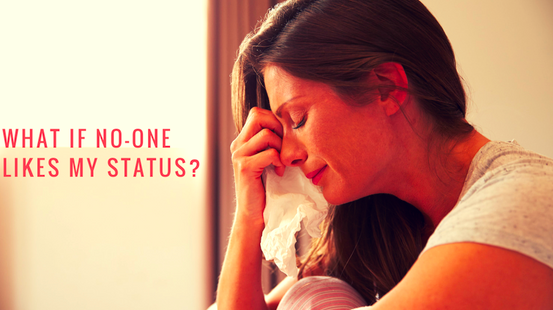 Are those with friends and family or are they at home updating your Facebook status? Think of family holidays or weekends away with friends, all those Friday and Saturday nights. Now think about that night you spent in with your mobile phone and a microwave meal for one. Sure, it was easy. But it’s probably a night you will forget in a hurry. What do we have to talk about any more at work on Monday morning? You know what David had for dinner and you have seen all of Rachel’s holiday snaps. And it isn’t as if you can talk about them because you already did that when you commented on them on Facebook. I guess you have nothing else to talk about until when you get home that evening and see their latest updates. A 2013 study published by the Public Library of Science, conducted by Ethan Kross of the University of Michigan and Philippe Verduyn of Leuven University in Belgium, revealed that the more time someone spends on Facebook, the less satisfaction he has with life. A separate study conducted by strategic insight agency Opinium revealed that one in fine people said that they felt depressed when seeing their friends’ lives on social media. The alarming statistic equates to an 6.9mn people constantly comparing themselves to their friends’ posts and presenting their own lives through frequent updates. 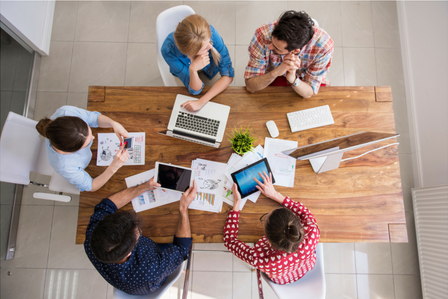 How does social media affect your social skills? If, as the study showed proved, your mood is adversely affected by an overdose of social media, it’s hard to be at your best socially. As a socially awkward generation, it may then be time to think about updating our social skills, rather than our social status. 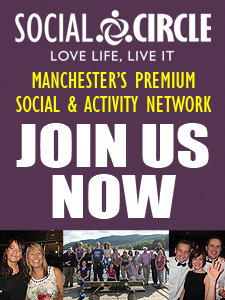 Stephen Sutherland, founder of Manchester’s social and adventure network, Social Circle, has seen how the advent of social media has affected socialising in Manchester and has vowed to ensure that we don’t lose grip on a social reality altogether. It’s not all bad, however, as Social Circle has an increasing membership base, with more and more people looking to inject some zest into their social life; a possible sign of a backlash to an online world. So, is social media all bad? The next time you meet someone and they and say ‘Find me on Facebook’, why not ask for their number instead? Go on, I dare you! It’s a useful tool. It’s a great way to reconnect with old friends. It’s an easy way to create events and arrange get-togethers. And it’s far easier to keep in touch with friends and family the other side of the world. Rewind about 20 years and the choice was either to send a message by the painfully slow snail mail or commit your life savings to British Telecom. But like any technology, it makes us lazy. And when it comes to less socialising, that presents a real danger. 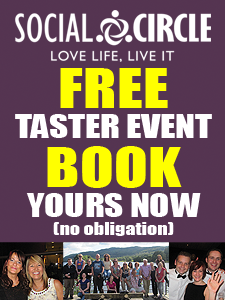 If you like your socialising in Manchester to be more about meeting people than poking them (do people even do that any more? 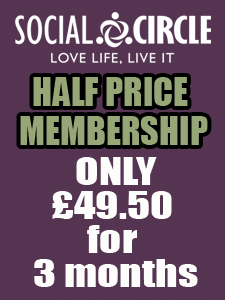 ), Social Circle afford you that opportunity with its 150+ events per month. Whether you are introverted and need some gentle encouragement, or you just can’t get enough of meeting new people, give Social Circle a try.